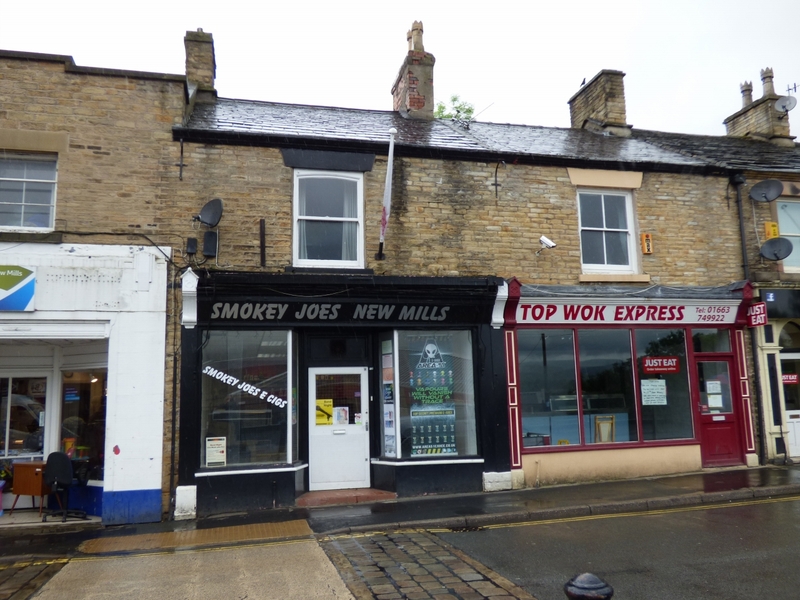 We are pleased to offer for let this main road shop and office premises with approximately 1,000 square foot of accommodation over two floors. The property is well positioned, close to the centre of New Mills and close to public car parks. 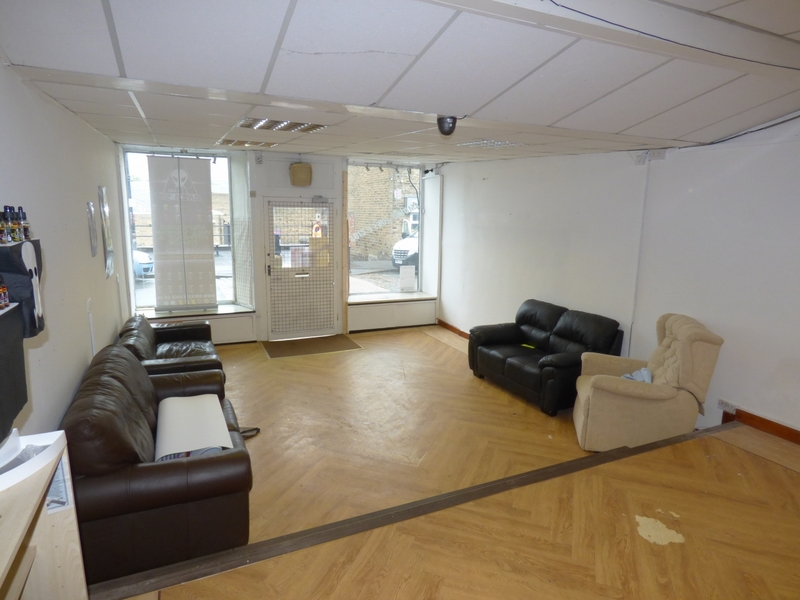 The property has loading facilities at the rear and potential parking for a car. The property with its spacious accommodation makes it suitable for a number of trades subject to change of use. with air conditioning unit, suspended ceiling with concealed lighting, vinyl floor, extractor fan, power points, shop windows. with stainless steel sink unit, power points, fluorescent lights. PLEASE NOTE that the main saleshop and the rear office/kitchen could be used as one room if required. with fluorescent light, power points, cast iron fireplace. with fluorescent light, power point. 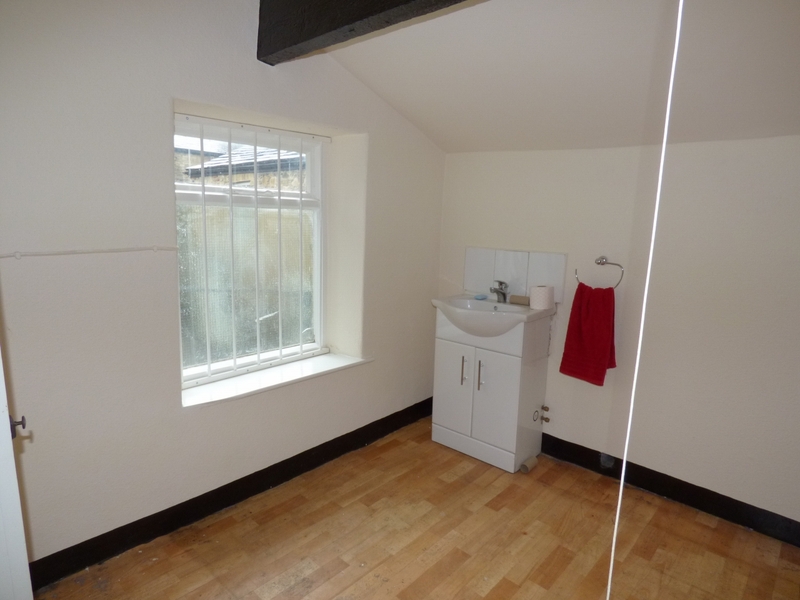 with pedestal wash basin with cupboards below, low level suite, airing cupboard and immersion heater. Rear loading facilities and potential parking for a car. The property is to be let on a 3 year full insuring and repairing lease (excluding the roof). The tenant to be responsible for the landlords reasonable legal costs in drawing up the lease.